ATTENTION! RESERVATION OF APARTMENTS IS FROM 2 DAYS! AT ACCOMMODATION IN APARTMENTS FROM 3 DAYS, FLEXIBLE DISCOUNT SYSTEM OPERATES. 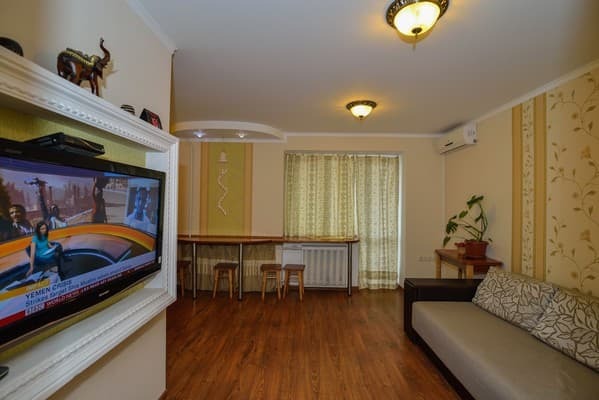 Cozy, well furnished two-room apartment "Home comfort on the street. Freedom "are located in the very center of Khmelnitsky, near the Central Department Store, near the monument" Angel of Sorrow ". It offers spacious apartments with modern renovation, equipped with satellite TV, free Wi-Fi access, air conditioning and all the necessary furniture. The apartment has a kitchen equipped with a stove, an oven, an electric kettle, a microwave, a refrigerator and utensils. Hot and cold water is supplied round-the-clock. Next to the apartment "Home comfort on the street. Freedom "there are many cafes, restaurants, shopping and entertainment centers, shops and supermarkets. The distance to the railway station of Khmelnytsky is 1,8 km, and to the central bus station - 3,1 km. Description of the room: Designer one bedroom apartment with renovated equipped comfortable double bed in the bedroom, a living area and a living room with a sofa bed. PRICE PER rate is for single occupancy. Extra GUEST + 6% .If the couple is placed on Double - VALUE AS FOR 1 GUEST. 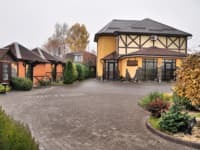 The cost of additional space is discussed additionally at the time of booking. As an additional place is possible futon (Japanese mattress). 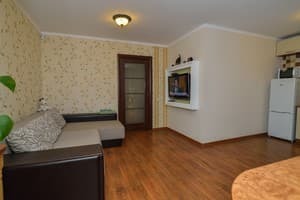 Cozy, well furnished two-room apartment "Home comfort on Svobody street" is located in the very center of Khmelnitsky, near the Central Department Store. The distance to the railway station of Khmelnytsky is 1,8 km, and to the central bus station - 3,1 km. From the railway station you can reach any transport that runs through the city center (3 stops). To go by trolley bus №1, to leave on a stop "ЦНТИ".